What happened to Napoleon’s officers after he was defeated at the Battle of Waterloo? In 1815-16, some 20,000 officers who had served under Napoleon were removed from active service, given reduced salaries and placed under tight restrictions. They became demi-soldes, France’s half-pay veterans of the Napoleonic Wars. During the First Restoration (April 6, 1814 to March 20, 1815), most of the officers who had served under Napoleon were allowed to keep their positions. The constitutional Charter of 1814 guaranteed to all active and retired officers and soldiers the preservation of their ranks, honours and pensions. 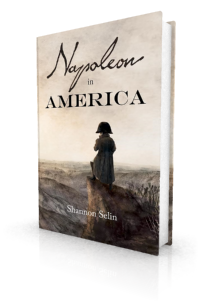 After Napoleon escaped from Elba and reached Paris without the army firing a shot against him, the Bourbons became less forgiving. Many royalists believed that Napoleon’s return to power was the result of a military conspiracy. Soon after the start of the Second Restoration (July 8, 1815), the government took measures to deal with officers considered loyal to Napoleon. Article I. The generals and officers who betrayed the king before the 23rd of March [the date Louis XVIII – then in refuge at Lille – laid off the French army en masse], or who attacked France and the government with force and arms, and those who by violence gained possession of power, shall be arrested and brought before competent courts-martial, in their respective divisions; namely: Ney, Labedoyere, the two brothers Lallemand [Charles and Henri], Drouet d’Erlon, Lefebvre-Desnouettes, Ameilh, Brayer, Gilly, Mouton-Duvernet, Grouchy, Clausel, Laborde, Debelle, Bertrand, Drouot, Cambronne, Lavalette, Rovigo. For a summary of the fate of the individuals proscribed by this ordinance, see the Arc de Triomphe website. Affected officers kept their rank, but their salary was typically half (or less) of what they had formerly received, thus earning them the nickname of demi-solde (half-pay). No longer entitled to wear their uniforms, they were often found in a civilian redingote (long coat), hiding a threadbare uniform underneath, and sporting the ribbon of the Legion of Honour. To prevent them from gathering together, the demi-soldes were required to return to the department in which they were born. They could not travel without permission from the local mayor. They could not own a gun without a special waiver. They could not marry without permission. During the early months of the Restoration, the demi-soldes were forbidden to look for work. This further alienated them from the civilian population. They had to report to the local police every two weeks. The police opened their mail, and kept watch on their activities and visitors. Though men on inactive service could not enjoy the benefits of military life, they remained on call for return to active duty. This could come at short notice, or never. A poem, La Demi-Solde, published in 1819 by an inactive captain, complains bitterly. Whoever is unhappy must be outside the law. Except under the unworthy name of brigands of the Loire. Occupied a position? He is removed. I live alone, retired? I conspire in the shadow. I receive my friends? They increase their number. Which will put the whole department in insurgency. To accuse me later of not helping with it. We still exist, and that is our crime. They no longer want an army, and especially of Frenchmen. Some inactive officers, such as General Jean-Pierre Piat, were actively opposed to the crown. In Paris, the police maintained a close watch on places where disaffected veterans gathered to sing subversive songs and raise their glasses to Napoleon. The stories of the officers Piat conspires with in Napoleon in America came to me from the police record, as did the location of their meeting. 7 May 1822 – Monsieur Michel Vitez is around 34 years old. He says he is a former captain of the Polish Lancers, and a master of languages. They say that he left the hospital, and before entering he had students, to whom he gave lessons in town. Now he doesn’t have any. He appears very unhappy. He says he is requesting a pension from the French government…. They say he received from the Ministry of War, three or four months ago, 300 francs, which enabled him to dress himself and pay for part of his food. He is now reduced to begging, and goes, for this purpose, to very important people, principally M. Vibray, peer of France, M. Laborde…and others. He saw the Grand Chaplain, who promises to give him a place. He has a compatriot who is, he said, a cook for the king. Antoine Dubroc had earlier been a demi-solde at Besançon. Barthélemy Bacheville offers a particularly interesting example of a demi-solde, as described in this post. As for the sad tale of Pierre Viriot, see this post. How were Napoleonic battlefields cleaned up? Christopher Kelly, History of the French Revolution and of the Wars Produced by that Memorable Event, Vol. II (London, 1820), p. 207. Jean Vidalenc, Les demi-solde: Étude d’une catégorie sociale (Paris, 1955), p. 24. Alan Forrest, The Legacy of the French Revolutionary Wars (Cambridge, 2009), p. 66. Le Chevalier L.-G.-D.-T. D.-T., La Demi-Solde (Paris, 1819), pp. 10-11. Les demi-solde: Étude d’une catégorie sociale, p. 58. Sydney Morgan, France (Philadelphia, 1817), pp. 10-11. 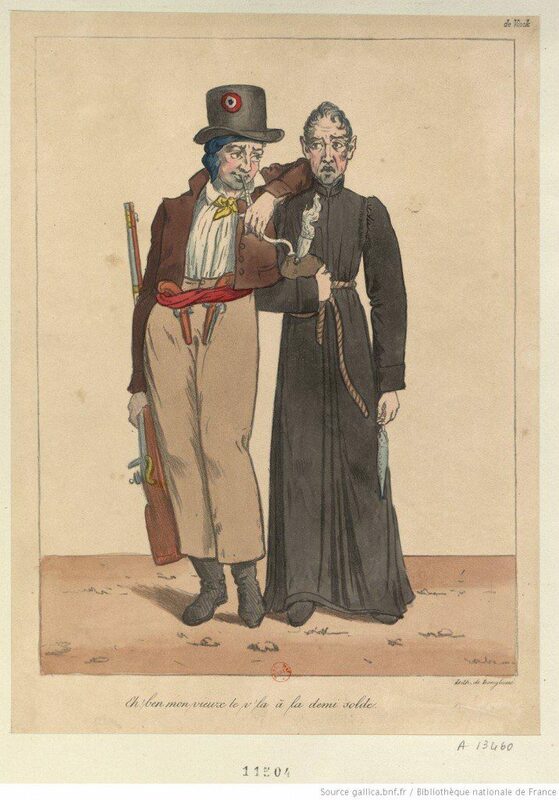 Guy Delavau and M. Franchet, Le Livre Noir de Messieurs Delavau et Franchet, Vol. IV (Paris, 1829), pp. 210-211. Ibid., Vol. III, p. 194.